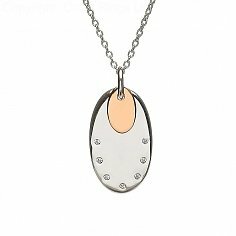 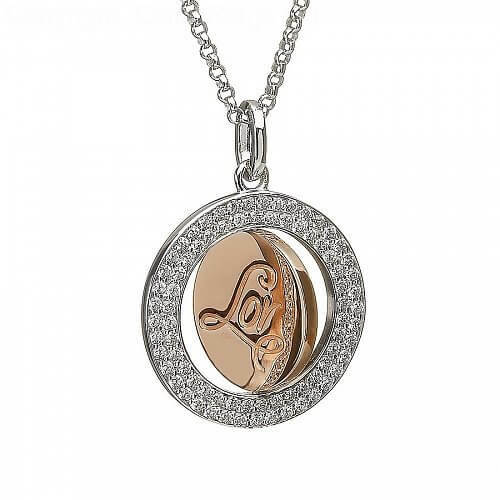 Crafted from Sterling silver, the round disc pendants outer rim is lined with two rows of sparkling cubic zirconia. The rose gold inner disc is made from rare Irish gold, ethically mined from County Tyrone. 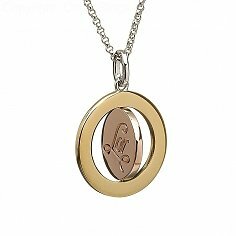 This exquisite spinning pendant is presented in a wonderful wooden box and certificate of authentication. 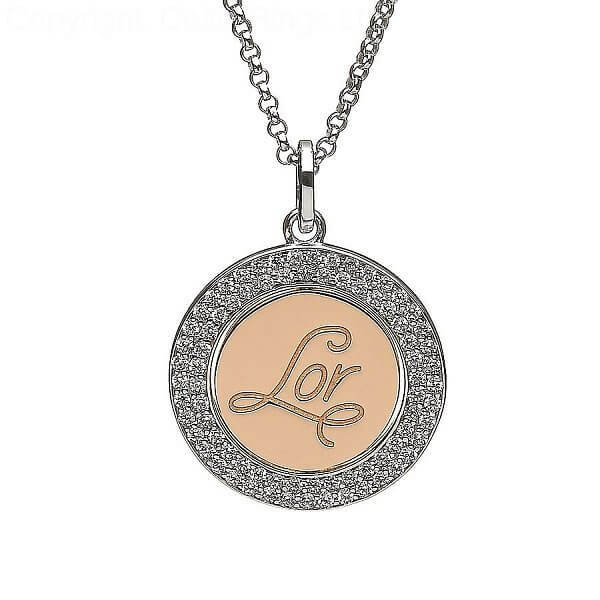 Includes an 18 inch silver chain.